Our Open Day was held last Saturday (29th October) at our Ruthin depot. The Hydradig stole the show with customers arriving before the open day started at 10am just to see it! We also displayed a range of mini excavators including: 8014, 8018, 8026, 8030 and 65R as well as the HTD5 Dumpster, JS130, 3CX Compact Backhoe Loader and 100kVA RS generator. Children enjoyed the Backhoe bouncy castle which had a built in obstacle course and slide. We had various competitions which customers and their families took part in and won prizes. The painting competition and the ‘hook a duck’ competition gave customers the chance to operate 8018 mini excavators. One of the competitions involved customers painting ‘JCB’ by operating an 8018 mini excavator and the best painting of ‘JCB’ won a prize. 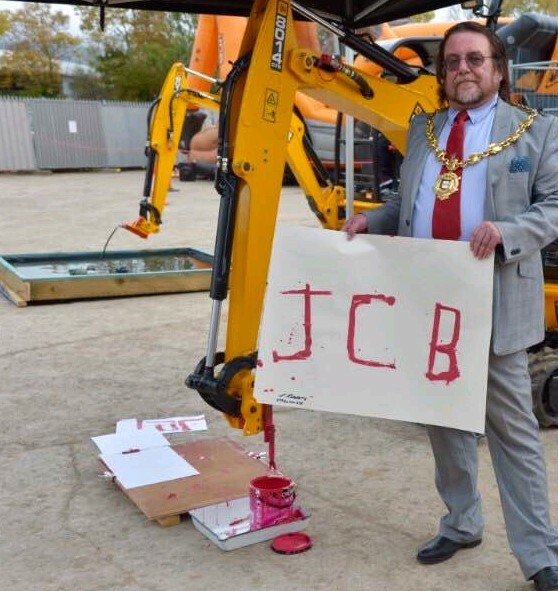 The painting competition was judged by the Mayor of Ruthin (Geraint Woolford) and the winner was E Roberts who won a JCB model of a midi excavator. The ‘hook a duck’ competition also tested customers’ operating skills and was won by Emyr McCall who managed to collect 4 ducks in 2 minutes and 46 seconds. Emyr also won a JCB model of a midi excavator. The main raffle was drawn by the Mayor of Ruthin which was in aid of Freya’s Freedom. The winning ticket was won by Betty Roberts. 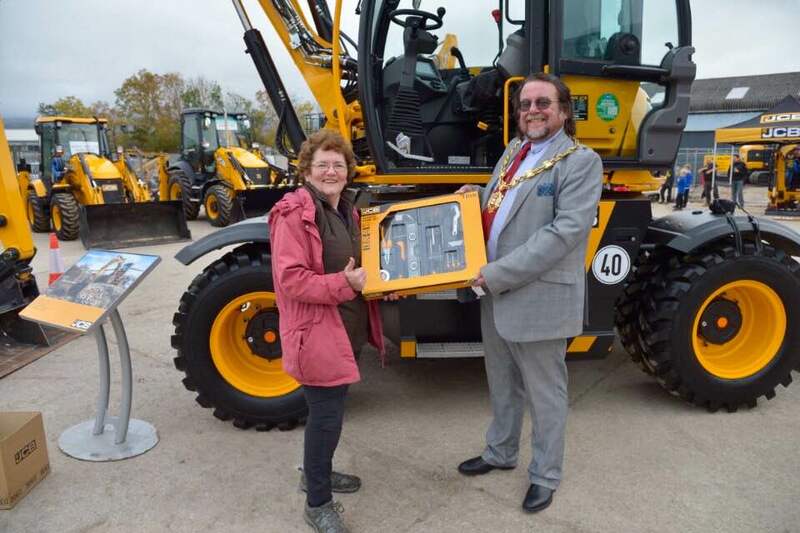 The prize was a JCB tool kit donated by JCB Finance (if you have any DIY requirements, please contact Betty Roberts). Second prize was a model of a JCB Fastrac won by David Jones, Director of D Jones Plant Hire & Sales. Third prize was a JCB cap which was won by Chris Birch, Director of Midland Groundworks of Oswestry. 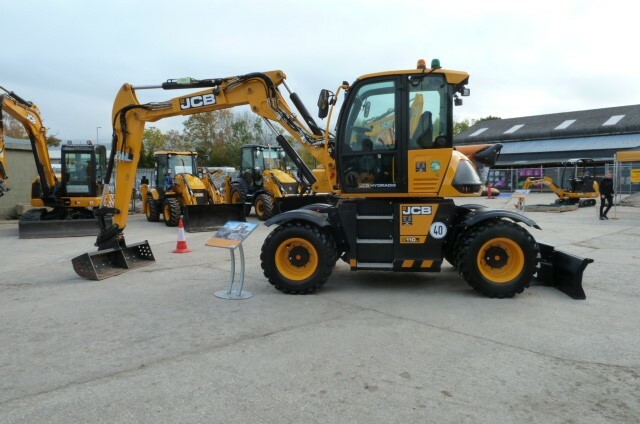 JCB Finance were on hand to offer advice and inform customers of the current finance offers that are available.